Brood thinks it's about time that kids get some nice stuff too! 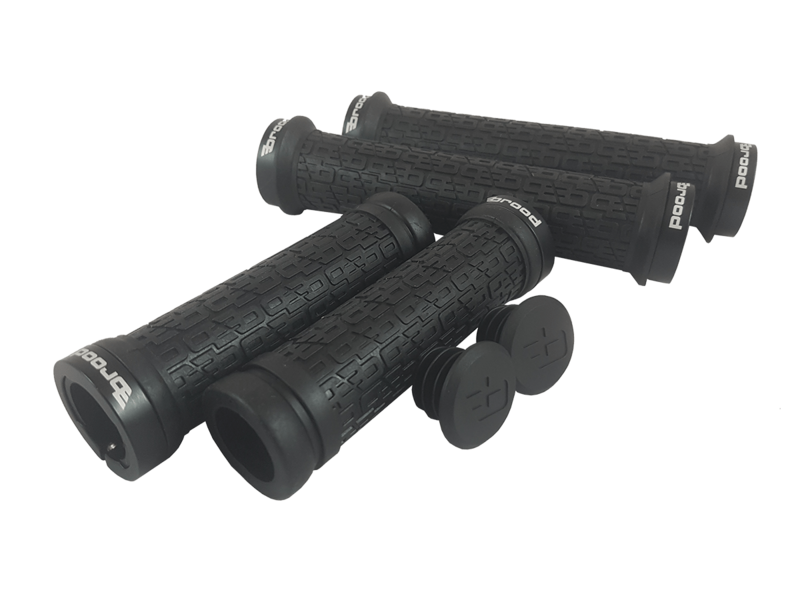 The Brood Tenderiderz grips come in a number of kid specific lengths and use the exclusive B-flip pattern that has deep interconnected channels to steer dirt and sweat away from their hands. Small flanges keep hands where they belong without interfering with levers and shifters and protect little hands from the alloy lock on clamps. Brood has employed one of softest rubber componds available and made the grips as thin as possilbe to make sure that your kids' hands don't look like they belong to a lumberjack at the end of the season.